One 6.5″ square of a novelty print. 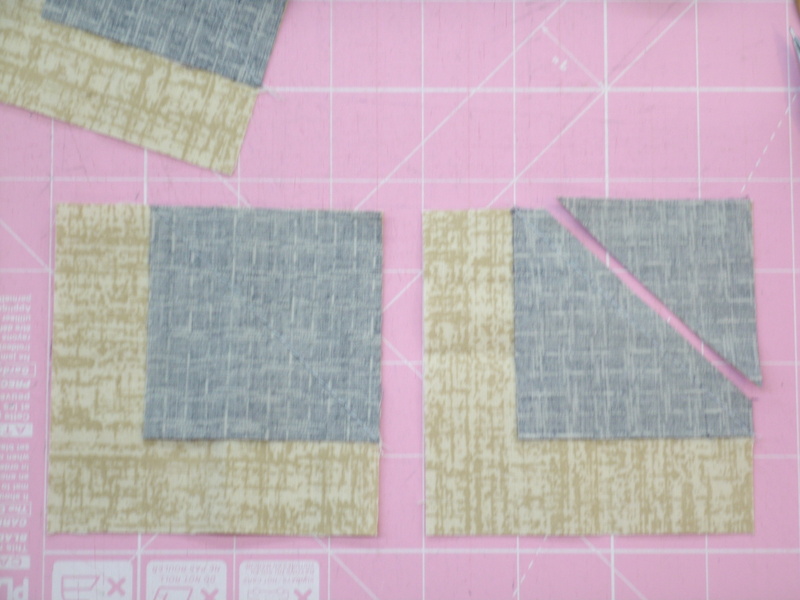 Step 1: We’ll use the stitch-and-flip method to put a navy corner on the 3.5″ off-white squares. 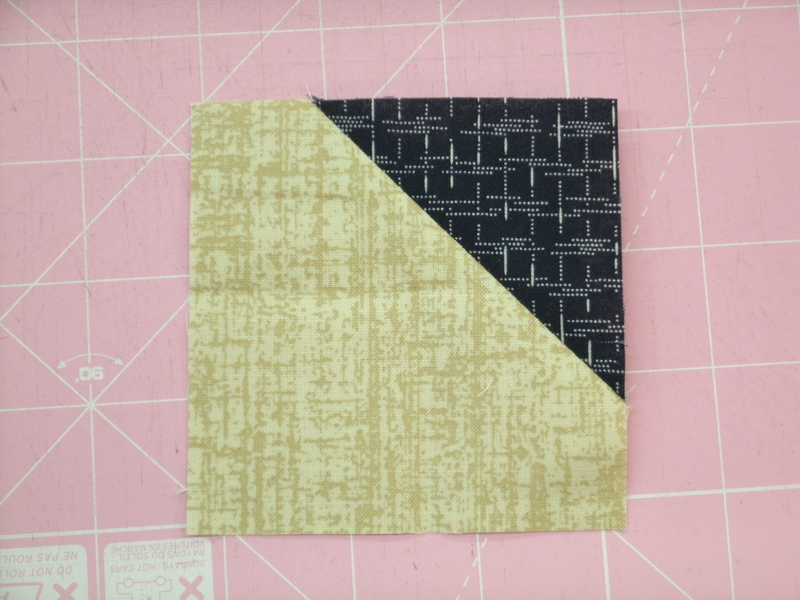 Draw a diagonal line on the back of the 2.5″ navy squares. 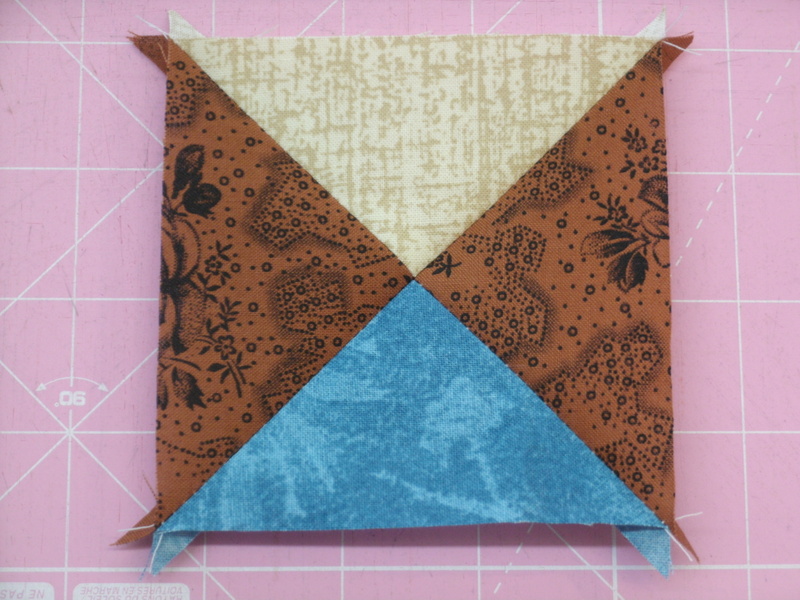 Lay a navy square on the corner of an off-white square, right-sides-together and align the edges. Sew along the drawn line and trim the corner away 1/4″ from the seam line. I like to press my seams open, but you can press toward the dark triangle if you prefer. Set these squares aside. Step 2: We need to make eight quarter-square triangles (QSTs). I use a Tucker Trimmer ™ for this step. 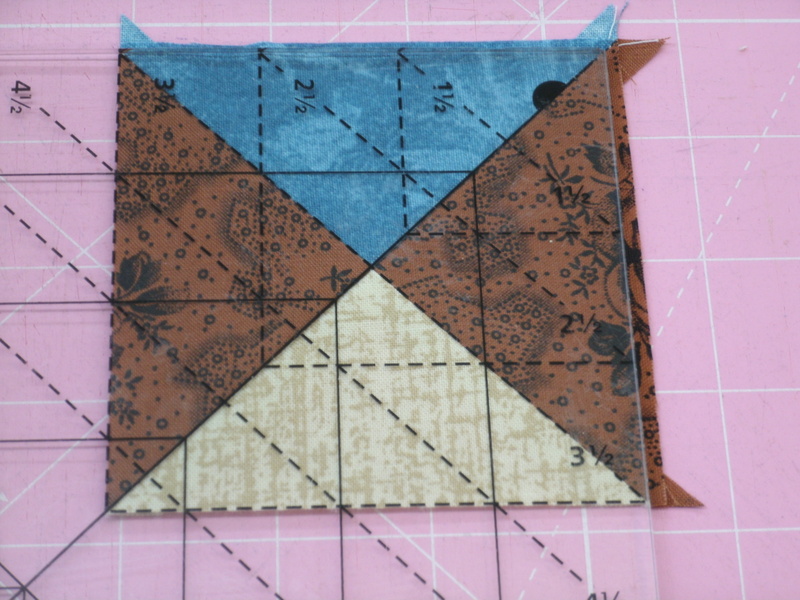 Cut the 4.5″ brown, light blue and off-white squares diagonally twice. 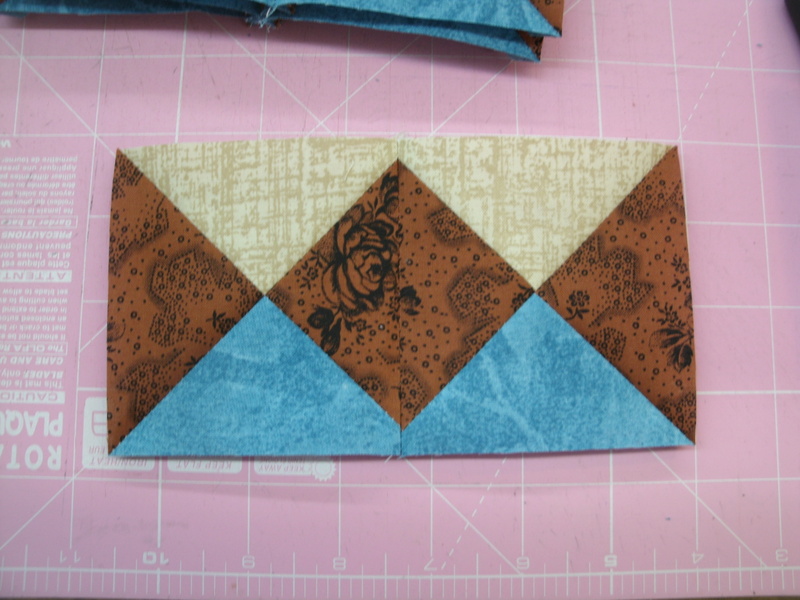 Use the triangles to sew eight squares that look like the one pictured above. These will be a little larger than we need them to be, so we use the Tucker Trimmer to trim them down to size. 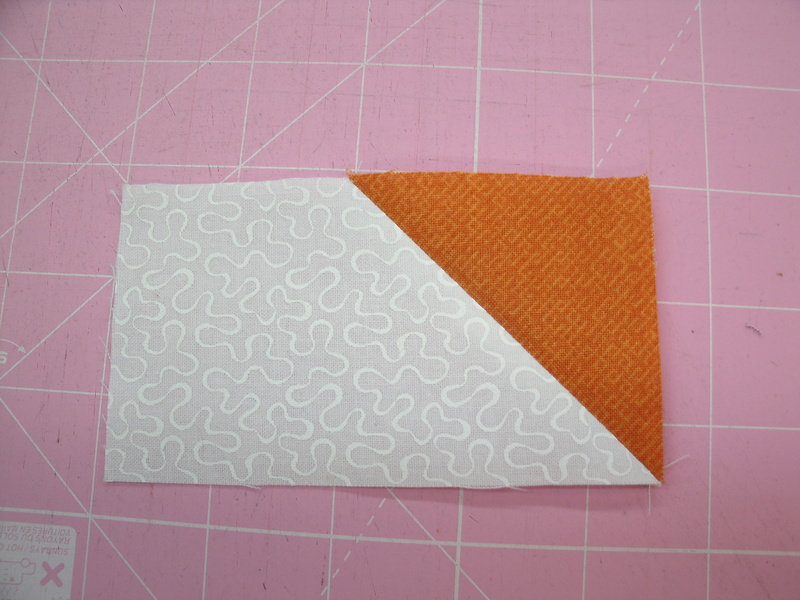 Now rotate the QST and line up the solid diagonal and 3-1/2″ dotted diagonal lines. 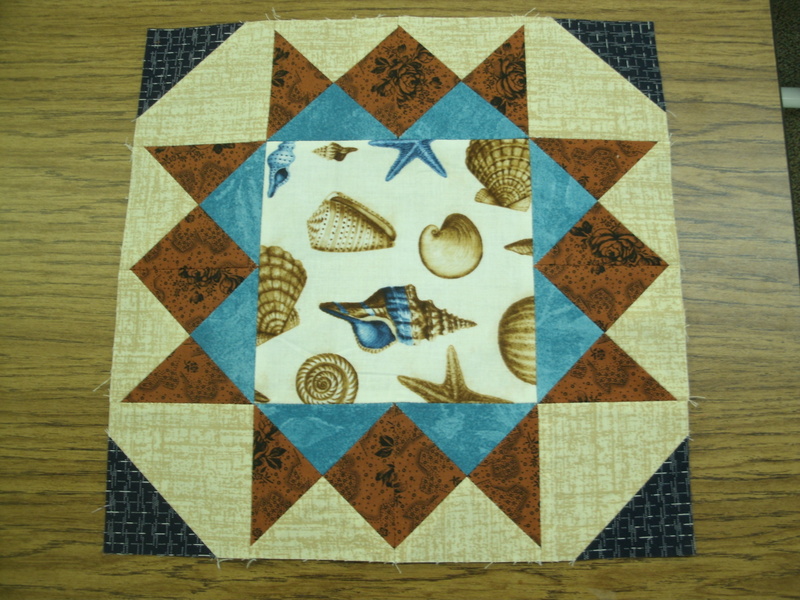 This time the left and bottom edges should line up with the 3-1/2″ vertical and horizontal dashed lines. Trim the right and top edges. Do this with all eight QSTs. 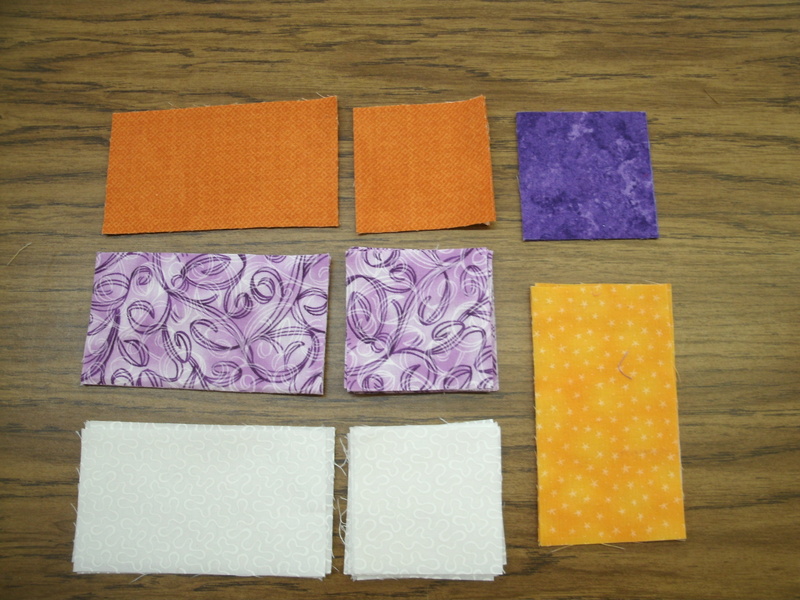 Step 3: Sew the QSTs into four pairs as shown above. 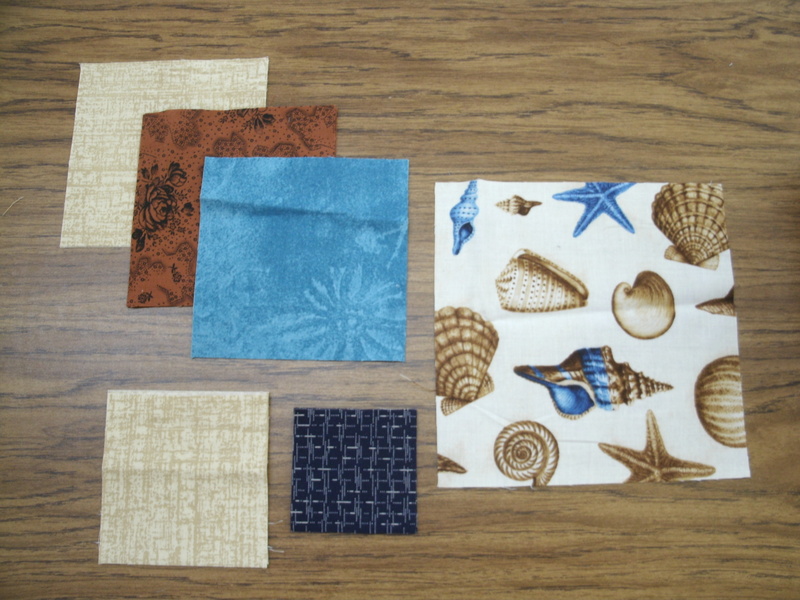 Sew one pair of QSTs to each side of the 6.5″ center square as shown above. 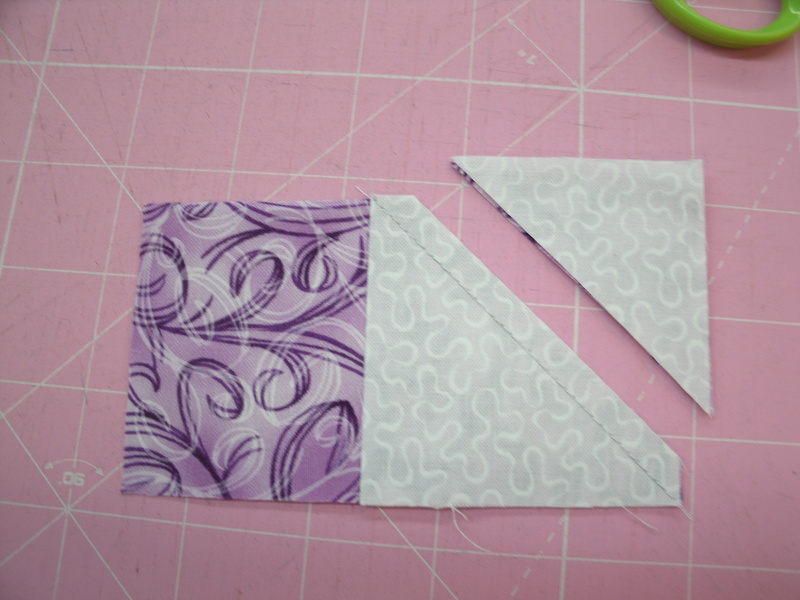 Sew the corner squares from step 1 to the ends of the other two QST pairs. 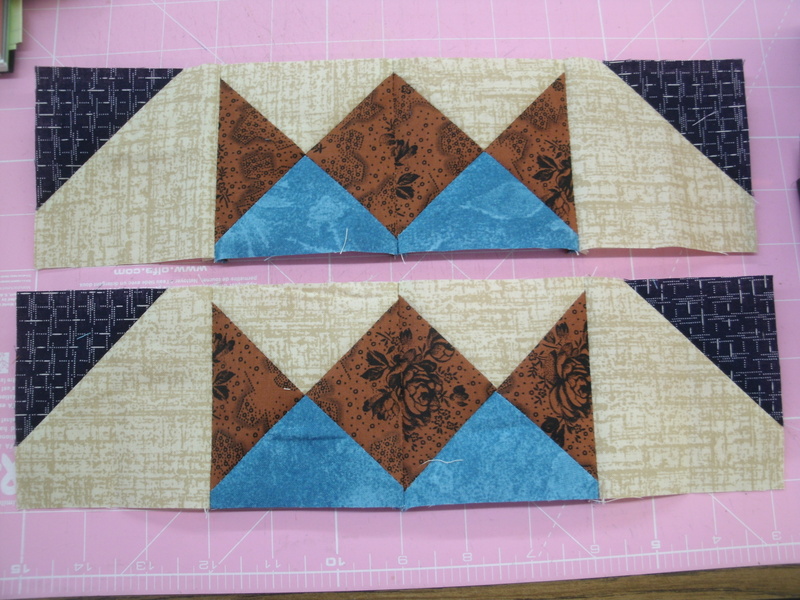 Sew these strips to the top and bottom of the center square unit to complete your Bon Bon block. In the Thrifty Quilter’s Facebook group the other day, I shared a color inspiration photo that generated a bit of conversation. It was a Jack-o-Lantern. The pumpkin was painted orchid purple, Pantone’s Color of the Year. The orchid paired with the bright orange of the pumpkin’s insides made my color sensor jump and cry “eek!” After my initial shock, however, it occurred to me that we see orange and purple a lot in sunrises and sunsets, so it’s not as outlandish as it seemed. 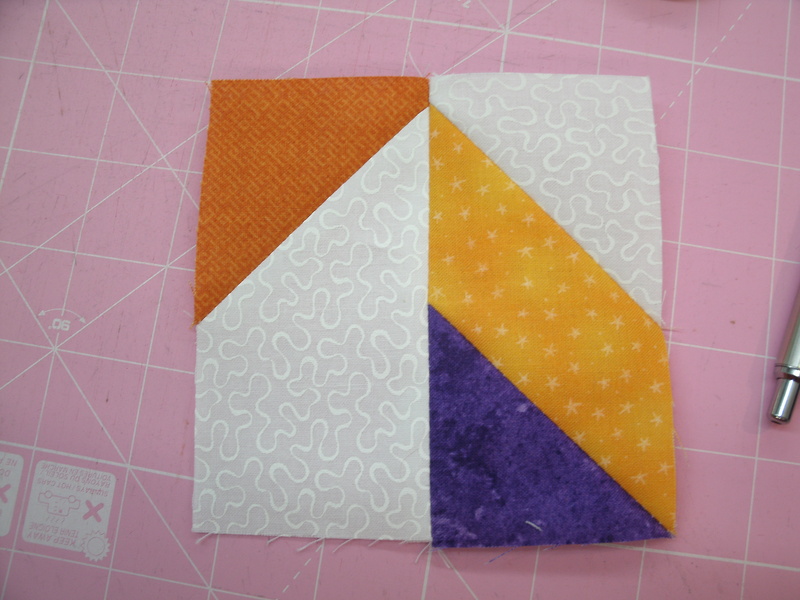 I wasn’t sure I could commit to an entire purple and orange quilt, but I happened to have a block in my sketchbook that I was willing to try it on. For this block, we’re going to use the “stitch and flip” technique to trim corners on the rectangles. 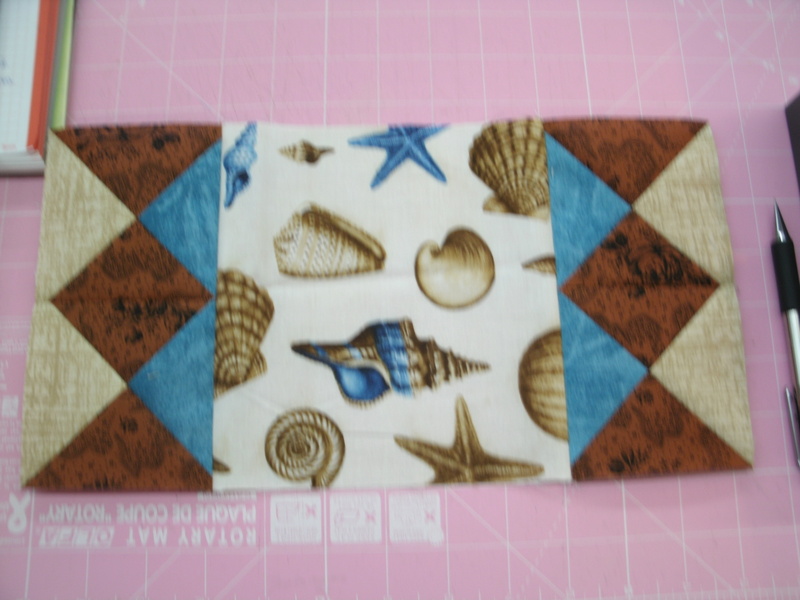 To do this, you will draw a diagonal line on the back of your squares, align the square with the end of your rectangle, sew on the line and trim away the corner 1/4″ from the seam. 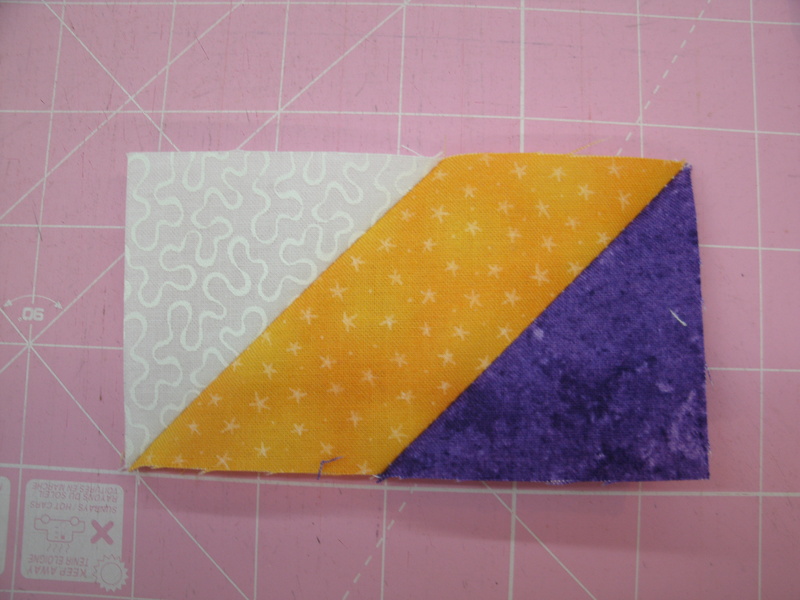 When you press the seam open, you will have a rectangle with a contrasting corner. Make two light purple rectangles with white corners on the upper left and two with white corners on the upper right. In the Thrifty Quilter system, we call these “wedge” units. Make four white rectangles with dark orange corners on the upper right. Make 4 light orange rectangles, with a white corner on the upper left and a dark purple corner on the lower right. 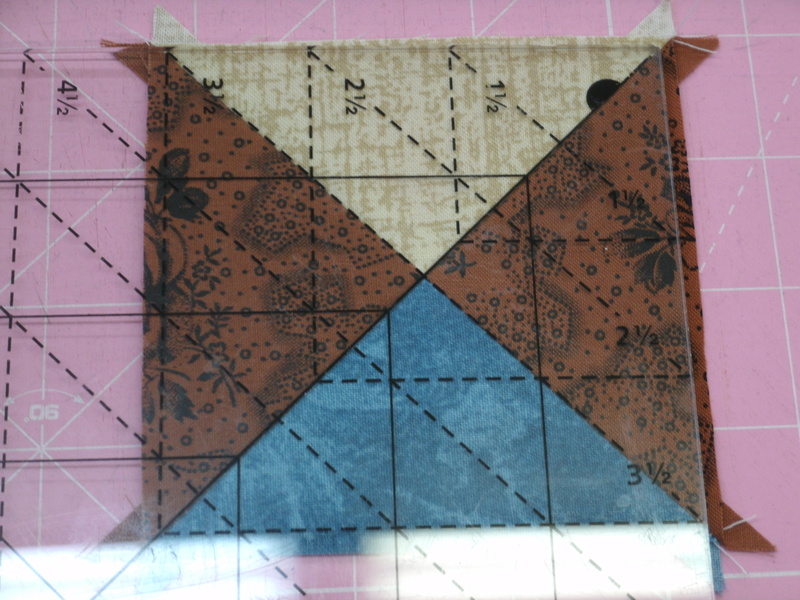 This is a “blade” unit in Thrifty Quilter terms. Make four dark orange rectangles with light purple corners on the upper left and upper right, a.k.a. flying geese units. 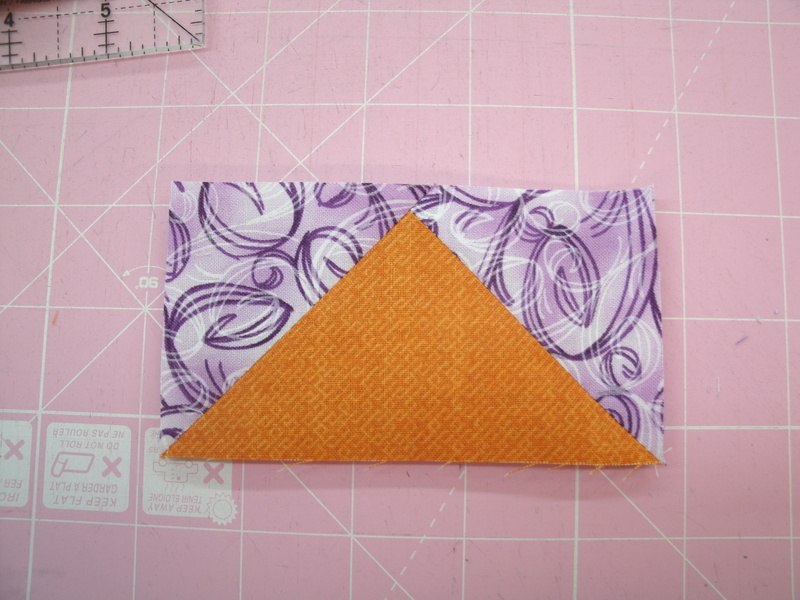 Sew the white & dark orange wedge units to the blade units as shown to make one quarter unit. 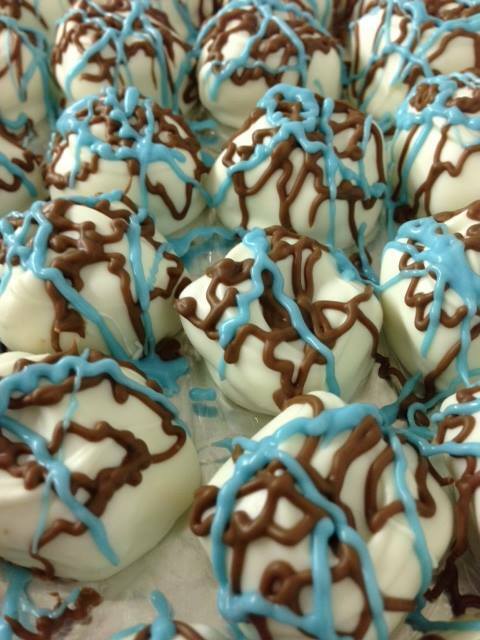 Make four of these. Now sew the four quarter-units together to make the Double Dutch pinwheel. Set aside. 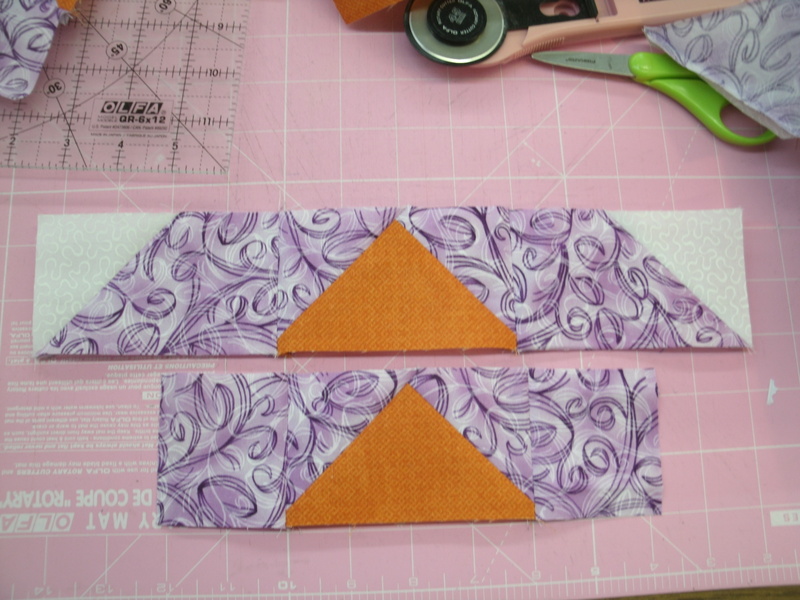 Sew the light purple and white wedge units to the ends of two flying geese units. 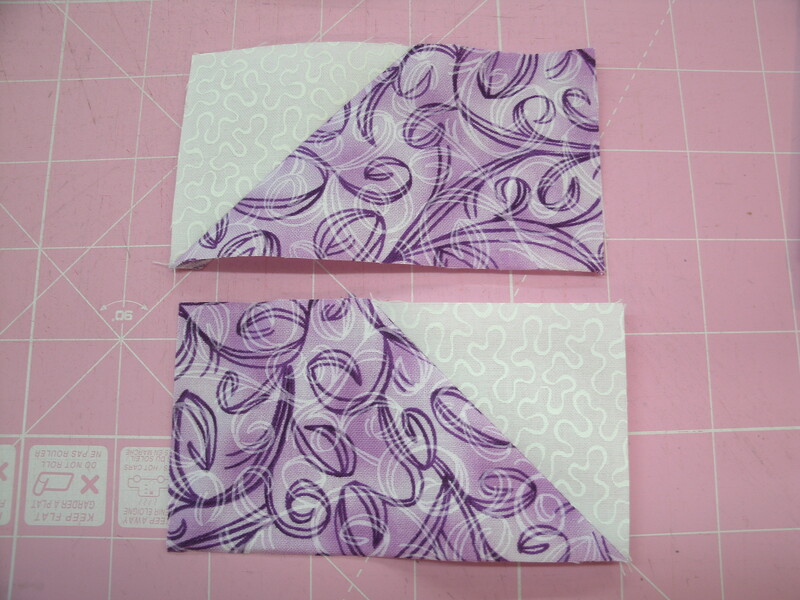 Sew the remaining 2.5″ light purple squares to the ends of the other two flying geese units. Sew the shorter strips to the sides of the Double Dutch unit. Sew the longer flying geese strips to the top and bottom of the Double Dutch unit to complete your Double-Framed Double Dutch block. 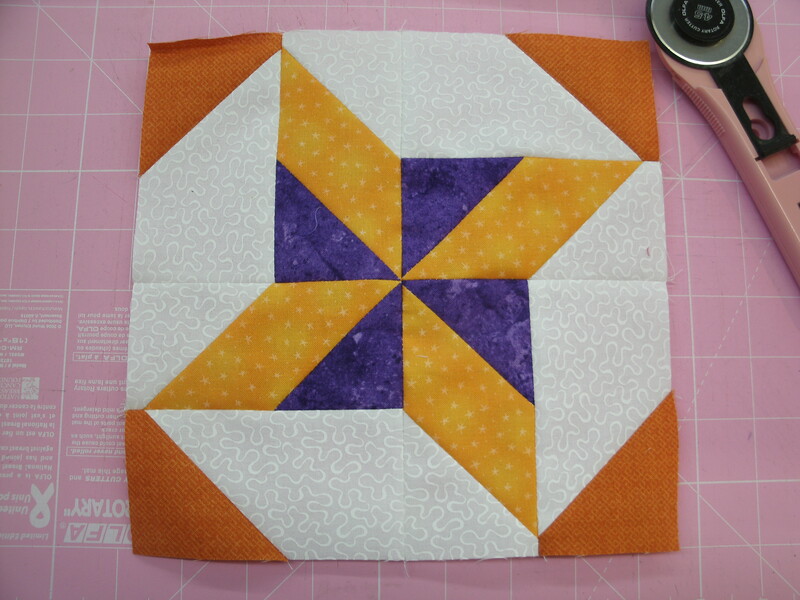 I have to admit, by the time I finished this block, I was thinking that an orange and purple quilt wouldn’t be bad at all. 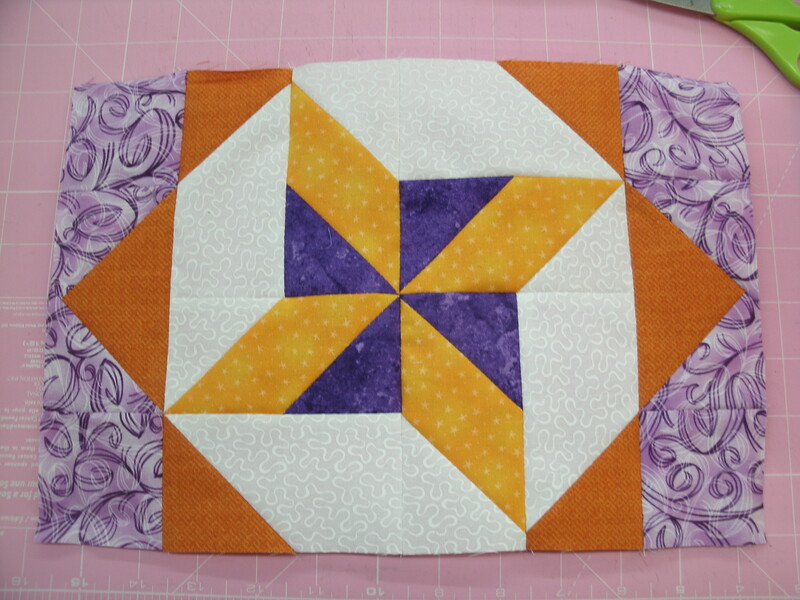 I don’t think I’d even use sashing…just set the blocks together side by side, so the Double Dutch pinwheels and their dark orange frames “float” on a light purple field. I’d probably add a 4″ white border and bind it in the dark purple. 12 blocks would make a 44″ x 56″ crib quilt, and 20 blocks would make a cozy 56″ x 68″ lap quilt. I can also see this block in Christmas reds and greens. 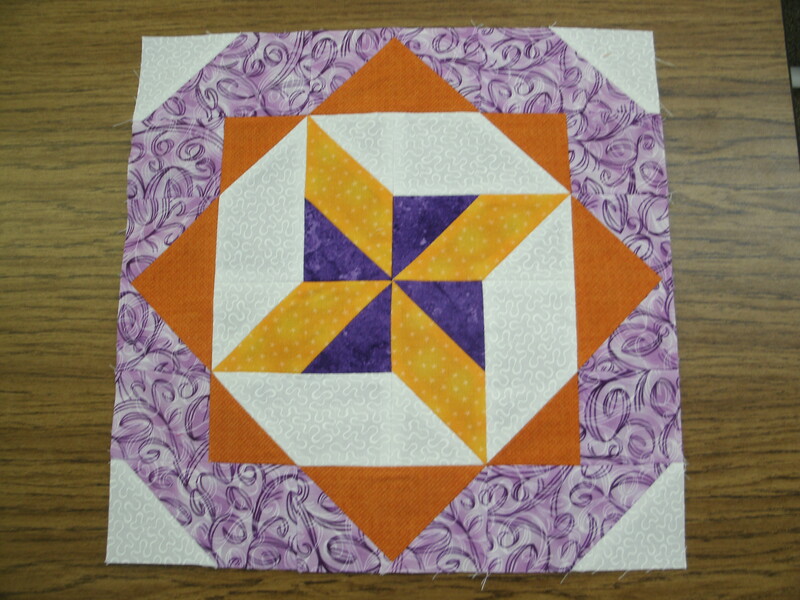 Or, a scrappy quilt with the pinwheel and inner border in different colors from block to block, tied together with a black and multi-colored print in place of the light purple border.